In Nebraska, two Southerners: she from South Texas, I from Northwest Louisiana (which might as well be Texas). She and I have spent the afternoon trading stories of students who resist us, arguing about Hollywood’s handsome men. When she laughs, expansion broad as plains: I hear the dry wind of Laredo, touch the strength of saguaros, breathe a hint of the chili she’s so fond of using. I coze in the heavy link of sameness connecting us; the oldness of her spirit holds me in love. She, who traces her heritage through Comanche and Mexican lines, wears a rope of black hair sometimes in a long braid, sometimes two. I have brushed this hair, admired its fineness when loose, the way it pools at her waist when she sits. 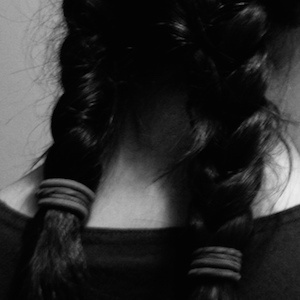 My own hair she sets with heirlooms: silver combs studded with turquoise. Today she tells me of her ranch house back home, with its large, leather flaps that serve as doors for people, dogs, horses, whatever wanders in. Christmas lights, the heavy, hot-burning kind our parents used when we were young, outline the walls all year long. The floor reddens with Texas clay, and a motorcycle stands unused in the corner. She’s lived there thirteen years, she says, raised her husband’s three daughters, raised herself. Gone to college and graduate school: an oddity. She waits for my stories; I offer half-confessions, little bits of bread I make a trail with. She wants to follow, but misdirection and Tuesday’s ten inches of snow obscure the way. Suddenly I cannot reveal myself to her. I cannot say that most days I think my heart desiccates at the bottom of a shoe box. That sometimes I want to drive west, to walk into the snow-covered Sandhills, and let this Nebraska claim me, till I am frozen whole. She waits for the words to come. They do not come. She tilts her head, puzzled. I wave off dark notions. She suspects I can be cured with soup. On her way to the kitchen, the phone rings. She answers in the back bedroom, tries to be quiet, but I know she hears the distant coyote’s whine: accusations that she thinks she’s better than the rest of them, that she don’t belong in Nebraska, fooling with books. He wants her home: the world corrupts. “It is a struggle to make him see,” she says to me minutes after she re-cradles the handset, like a coffin lowered in a grave. What she does not have to say is that his sense is brown. This place which bonds us values not what she values: the earth, its openness, its surprise in difference. She walks the interstice: too white, too educated for family, but for colleagues, whose faces are the non-color of privilege, she’s too sensitive in her “Indian-ness.” This, even as they expect hers to be the voice of all indigenous. To them, she could never be other than Other. “You are my only white friend,” she says abruptly. I am not honored, but ashamed: the sameness of earlier separates into threads of brown and white. In writing these words about us, I commit a savagery: co-opting her story, colonizing my friend. Four hundred bloody years between us again. JC Reilly is the author of a poetry chapbook, La Petite Mort, and 25% co-author of a recent book of occasional verse, On Occasion: Four Poets, One Year. 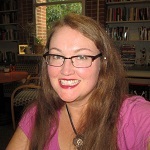 She has had work published or forthcoming from Glassworks Magazine, Cortland Review, Apeiron Review, Fly Over Country Review, Kentucky Review, Dirty Chai, Southern Women's Review, the Louisville Review, and others. She lives in Atlanta with her husband and cats. When she's not writing, she plays tennis (badly).